What can you offer great talent in the year ahead, if you are focused on finding and keeping the best employees? Teams are replacing hierarchy. Flexibility is replacing the structure. Speed is increasingly important. People work more from home and take home to work. Organizations are empowering rather than controlling people. And everyone at every level learns continuously. With virtually everything around us changing at breakneck speed, there are certain aspects of work that have always been true, and still are. Think ethics, respect, fairness, honesty, and other human values. When you slow down long enough to ensure that basic values are built into every business function and relationship, you will more easily attract and retain top talent. 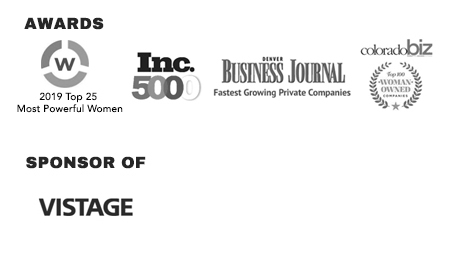 TalenTrust shares more on these interesting shifts in the workplace. 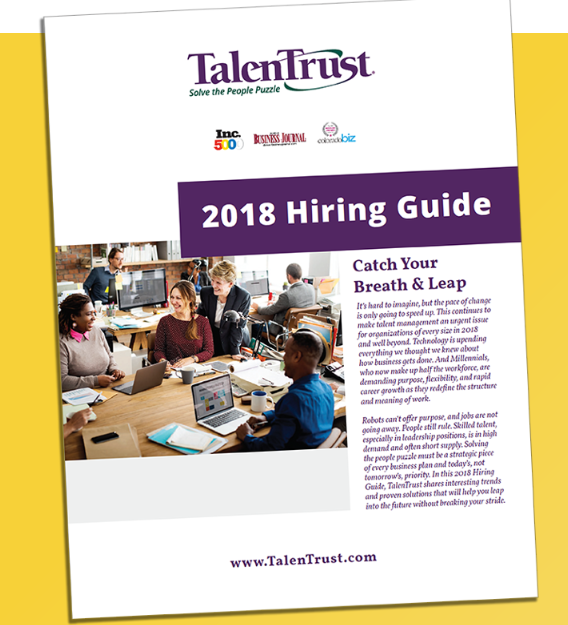 Download our new 2018 Hiring Guide for insight and advice on the six most critical issues to address in the year ahead.